Browse content similar to 29/08/2017. Check below for episodes and series from the same categories and more! North Korea fires a missile over northern Japan. The Japanese Prime Minister calls it an unprecedented threat. The missile flew over Hokkaido Island before crashing into the sea. The UN Security Council is to hold an emergency meeting. Forecasters say there will be more rain in the next few days. An attempt to curb excessive salaries. the Queensferry Crossing, the UK's tallest bridge. 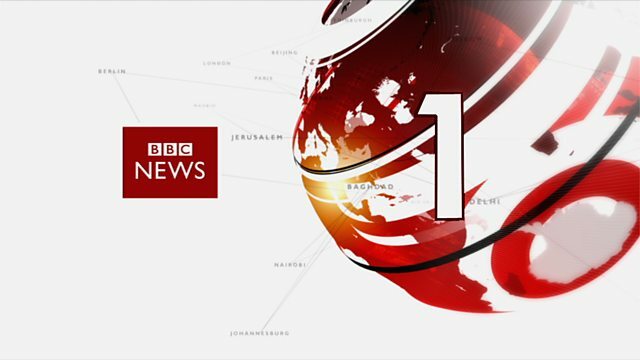 Good afternoon and welcome to the BBC News at One. a ballistic weapon over Japan - the missile landed in the Pacific. President Trump said in the last hour all options or on the table. Our correspondent, Yogita Limaye is in the South Korean capital, Seoul. after that tense war of words we say between Washington and Pyongyang. tougher. Rupert Wingfield-Hayes, thank you in Tokyo. in America's fourth largest city, Houston in Texas. and forecasters warn more is on the way. and 30,000 people are likely to require emergency shelter. rescued. At least nine are reported to have died in the Houston area. much. All of this is over in Louisiana, the neighbouring state. have to reveal the pay ratio between bosses and workers. stronger measures to curb boardroom pay. boardroom pay in the context of the pay the rest of the workforce get. difference is Vitaly important. But the reforms can be confusing. who perform the least. They have lobbying power to resist this stuff. at all. That is where we are. Adam Fleming, thank you in Brussels. at an activity centre in Bideford, in north Devon. planned. Thank you. Jon Kay in North Devon. as the tourists chase 322 for victory. and rail bridges connecting Edinburgh and Fife. Our Scotland Correspondent Lorna Gordon is there. tallest bridge is on the verge, finally, of opening. Lighting up Scotland's latest bridge. In its own right, it is absolutely amazing. It is in every sense, in every way, an amazing achievement. The scale of this construction is impressive. It's the end of a long journey but it's been a wonderful journey. These guys have put a lot of work into this place. the legacy of the generations of workers who built them. three centuries, is part of their family's history. Three bridges, three centuries, all special in their own way. After seeing it all come together, I'm fair away with it. I am proud to have been working on the bridge. of roadworks as the new bridge has taken shape. while the bridge was under construction. I'm sure people want to see what the bridge looks like. We ask people to drive carefully, keep their eyes on the road. For now, it's all about admiring the view. opportunity. Thank you very much. station were cancelled, amid signalling problems. The head of Network Rail has apologised to passengers. Our correspondent Dan Johnson reports. The train now arriving at Waterloo is delayed and crowded. And that's one of the better services. But this morning was supposed to be different. We've all been saying we were sure it would be overrunning. and now I am waiting for a train to Kingston. Improvement is good but yeah, it's a bit annoying. deliver more passengers through the country's busiest station. good for Network Rail after weeks of disruption. So this morning they were here to say sorry. the passengers by this afternoon's peak. weeks of disruption, how could it be allowed to overrun? days a week for the last three and a half weeks to deliver it. projects mean some other London stations are closed this week. Waterloo faces further upgrade work in the next few months. Building a better railway isn't cheap and it's far from simple. Dan Johnson, BBC News, at Waterloo station. Our personal finance reporter Kevin Peachey has more. Now the actor is the head of a campaign by the financial regulator. It was mis-sold to people like Eddie. He fought a three-year battle to get his money back. they ended up paying me was a four figure sum. Banks have set aside more than ?37 billion to pay people back. was in fact mis-sold on an industrial scale. of people out there who are probably still owed thousands of pounds. which they can do themselves and for free. Consumer groups want it to be easier to claim yourself. it's still well short of what Arnie might call a total recall. with England and the West Indies both chasing victory at Headingley. while England's bowlers needed 10 wickets on the final day. From Headingley, here's Patrick Gearey. but would this be the day Leeds saw a Lancastrian make history? looks to become just the sixth bowler to take 500 Test wickets. Anderson does some of his best work in the murk. but as the clock struck 12, Broad struck first. he inadvertently deflected the ball to the stumps, condemning Kyle. This West Indies team had been proving people wrong all Test long. engrossing days continues to offer something for everyone. Shirley Ballas also made her first appearance. Sir Bruce Forsyth, who died 10 days ago. Our entertainment correspondent Lizo Mzimba reports. Glitterballs and glamour, sequins and sparkles. This year's new celebrities together for Strictly. There will of course be a special tribute. He is part our lives, he is part of this country. to deliver entertainment, and perhaps even the odd surprise. Richard, we saw you come down that red carpet. I'm not sure if they will be good for anyone. Debbie, you've loved Strictly as a viewer. How do you think you'll enjoy it as a contestant? I don't think there's any other way to do it. Frankie has been so excited about me doing this. on the phone being like, Frankie, tell me any tips you can! How do you feel about being a bit of a trailblazer? It shows the way that the show and life in general is going. As well as new contestants, there is also a new head judge. Shirley Ballas taking over from Len Goodman. So they've been taking care of me today. I feel nervous just watching that. Let's move on. Anglia, London, central southern England getting rainfall. weekend the good news is the weather is looking a bit better.